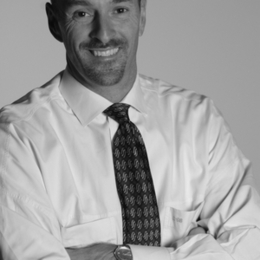 David C. Bentall was born and raised in Vancouver and is a graduate of both the University of British Columbia and The Harvard Business School. David worked for 20 years in his family's businesses; initially focusing on real estate development while working for The Bentall Group. He later served for seven years as President and CEO of Dominion Construction. During that time, the company's sales grew from $150 million per year to just under $300 million. After selling his interests in the family firm in 1998, David was instrumental in the successful domestic bid for the 2010 Olympics. He is now President of his own firm, Next Step Advisors. Through this company, he provides succession consulting and executive/life coaching. For the past four years, he also served as the Founding Chairman of the Business Families Centre at UBC. In 2006, David was formally recognized by the International Coaches Federation as a "Certified Professional Coach" and by the Family Firm Institute as a Professional Family Business Advisor. In 2005, David's first book The Company You Keep was awarded book of the year, in two categories, at the Canadian Word Guild Awards. In January of this year, he began teaching an undergraduate course at the Sauder School of Business entitled: "Working in the Family Business". He will be teaching a similar course to MBA students this fall. As a competitive water skier, David won a gold medal in the 2001 Western Canadian Championships. In 2005, he set a new B.C. record for men's 4 slalom. In October 2006, David finished 8th in the Senior World Water Ski Championships in South Africa. David and his wife Alison have been married for over 25 years and they have four fabulous children. Comment Articles by David C.